Cambodia is a country in Southeast Asia filled with some of the most breathtaking views in the world. It is full of unforgettable vistas such as its temples, historic museums, spectacular beaches, and islands, along with a rich cultural heritage. 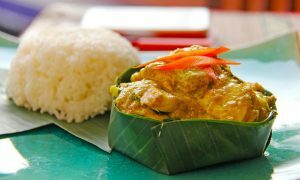 Cambodia has a little bit of everything for those looking to get the most out of their traveling experience. 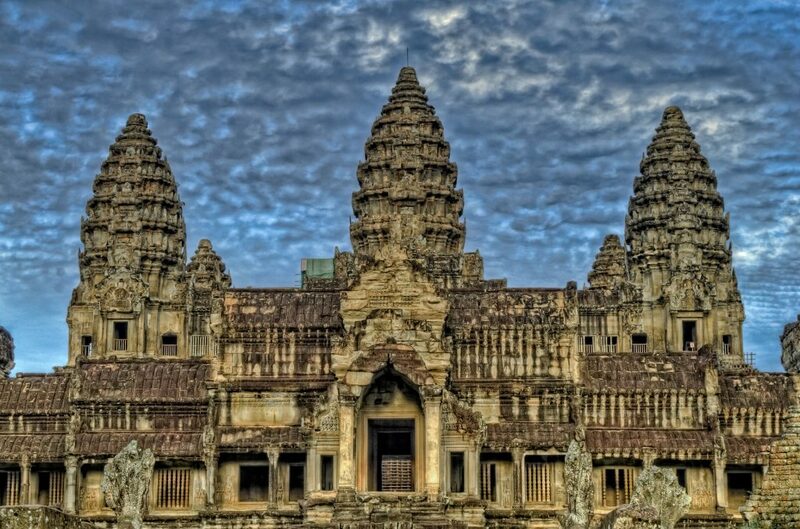 Here are 7 of the most memorable places to visit in Cambodia. 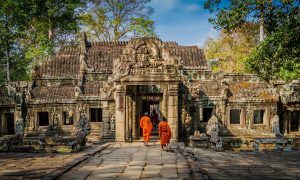 Visit the famed Khmer Empire and witness the most breathtaking ruins of Angkor Wat. It is one of the largest religious monuments in the world, built by man and elephants and is a beautiful sight to see. If you really want to see a gorgeous sight, do yourself a favor and visit Angkor Wat during sunrise or sunset. It is well worth waking up before dawn to see the sun coming up behind the main temple of Angkor Wat or seeing the sun set on the front view of the temple. Take in the beauty of the temple on your own or take a tour with a tour guide to ensure you gather as much information as possible. An important and historically-rich location for those who are visiting Cambodia are the Killing Caves of Phnom Sampeau. Located on the mountain of Phnom Sampeau, the mountain holds caves and canyons within. Midway up the mountain through narrow stairways leads the way to a cave famously known as The Killing Caves of Phnom Sampeau. This cave is filled with beautiful statues and lookout points over the village below. Within the cave, a huge golden reclining Buddha sits in the center of the room. Next to the base of the stairway lies a rusty chicken cage filled with human bones that belonged to those who were bludgeoned to death by Khmer Rouge cadres and then thrown through the skylight above. An important note: this is a long and somewhat dangerous walk to the cave so wear some comfortable hiking shoes. Spend a day hanging out with the Mondulkiri’s elephants. It is located in the heart of the jungle in the Northeastern province of Mondulkiris. This sanctuary offers tours for visitors and allows the chance to explore the natural habitat, culture, and to get up close and interact with these beautiful mammals. You will also have the opportunity to feed and groom them at the Sanctuary rainforest elephant pool while learning about their wildlife conservation. Spend a day or two in Kampot where you can enjoy the peaceful view of the Kampot River, and savour authentic Kampot cuisine. Happy hour cocktails can also be enjoyed while kayaking through the Kampot River, which attracts many tourists and locals. 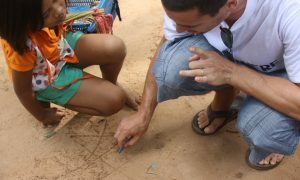 Kayaking isn’t the only relaxing thing you can do in Kampot. Traffic is minimal and walking or bicycling around the city is also a fun relaxing. 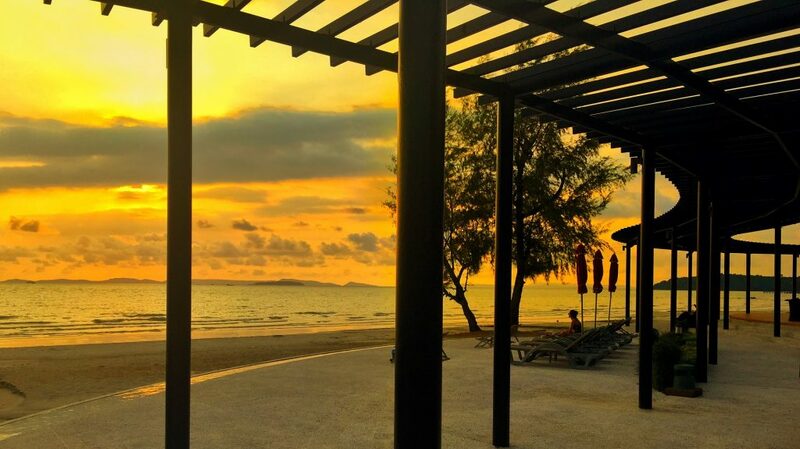 Sihanoukville is the most popular Cambodian beach resort on the Gulf of Thailand. It was named after a former King, Norodom Sihanouk, and is also known as Kohmpong Saom, wherein the United States fought a battle in the Vietnam War. There is much to do here; from soaking in the water to lounging around on grass-huts, to enjoying authentic Cambodian food and drinks. These beaches are also popular for travelers who prefer to stay in huts on the beach rather than staying in luxury five-star hotels. If you are willing to take a 5 mile hike, we recommend visiting Kep National Park to get in touch with nature and experience the exotic plants and wildlife. Following a 2 hour hike, you will reach the summit where you can take in the breathtaking view of the steep valley, nearby towns, pagodas, plantations, and nearby islands. Make sure to pack a lunch and not stay out past sunset so as to not get lost. Bioluminescent plankton in Koh Rong can be best seen at night when there is minimal light pollution. It is a sight to see as the water looks like a starry night sky. Relax, enjoy cocktail hour, and make your way towards the water. Gently stir the water and watch the plankton begin to glow at night. Although it is impressive to view, it is not recommended to try and swim at night as jellyfish, octopuses, and other marine life come out to hunt at night.